The efficient way to validate your equipment with power interfaces in environments of maximum criticality. The architecture FIT, acronym of Flexible Infrastructure for Test, has been designed and developed by Orbital CS to achieve, in an optimal way, the test of complex system. It allows the qualification of your equipment and also the acceptance in the production lines. FIT is an hardware architecture that manages and monitor interfaces of low and medium power. Additionally it adds advanced capabilities of detection and injection of signals together with a alarm management. As a result it is perfect for V&V task performed in sectors with safety critical requirements. 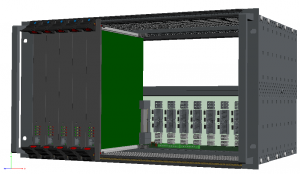 The architecture is defined by a backplane that makes the interconnection between the different boards. So it contains the synchronization lines, power lines and redirect the signals between the boards or external measurement equipment. All FIT boards plugged to the backplane have an external control module named “Common Core”. The design is based on standard board with size 6U x 6HP, interconnected with a 3U backplane. 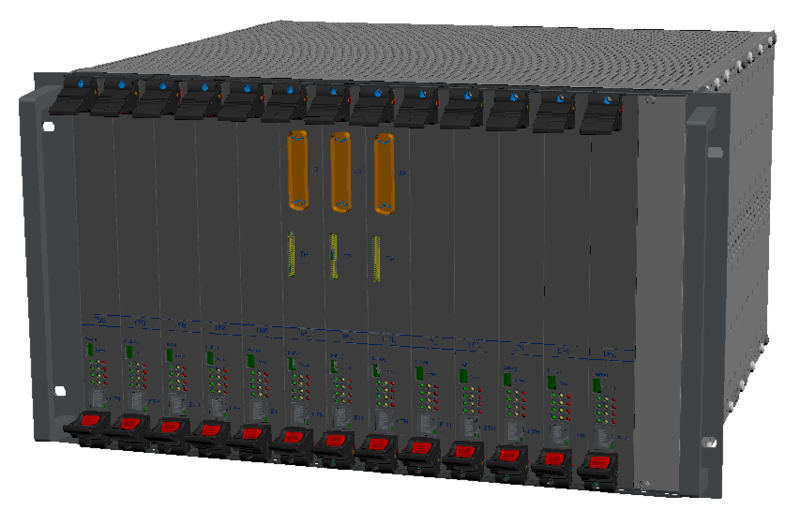 The system allows frontal and rear connection, therefore the system covers multiple scenarios and fits in multiple solutions. The system is controlled via LAN interface. Thus, Orbital CS is able to set up these complex Test equipments in a very short time. Test systems that combine power lines, digital and analog with communication buses of our target sectors. Orbital CS has a catalog of FIT boards that covers the main needs of the market. Finally the boards can also be used in standalone way and controlled via LAN. The main utility of this configuration is the performance of unit test of interfaces in very early stages of the Unit Under Test equipment.